Dr Samuel Crumpe - A Man of Many Talents • People & Genealogy, Who was? 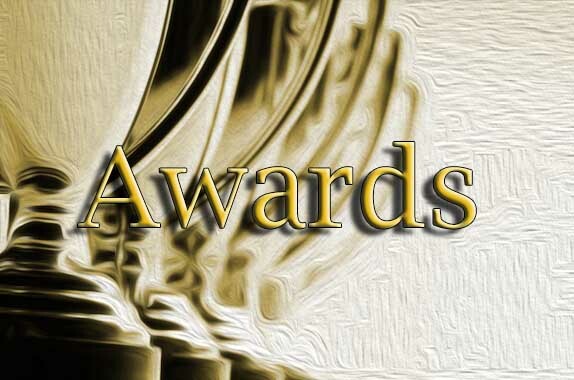 Posted by Sharon Slater | Feb 8, 2019 | People & Genealogy, Who was? Samuel Crumpe was born in Rathkeale on 15 September 1766. He was the eldest of seven children of Kerry born Daniel Crumpe and Grace Orpen. Not only was Grace Orpen the wife of Daniel Crumpe, she was also his second cousin. Samuel was named after his paternal grandfather and his maternal grandfather Richard Orpen of Ardtully, High Sheriff of Kerry. Crumpe had many advantages coming from a privileged family. This privilege led him to pursue an education in medicine in Edinburgh, Scotland. While there in 1787, he was elected to the role of President of the Chemical Society in Surgeon’s Square. The following year at the age of 22, he was awarded the degree of MD at Edinburgh University. His dissertation was titled “De Vitiis quibus Humores corrumpi dicutur”, which translates to “The vices which cause the deteriorating of the humours”. In this, he argued that scurvy was curable with a good diet. We know this to be true today. 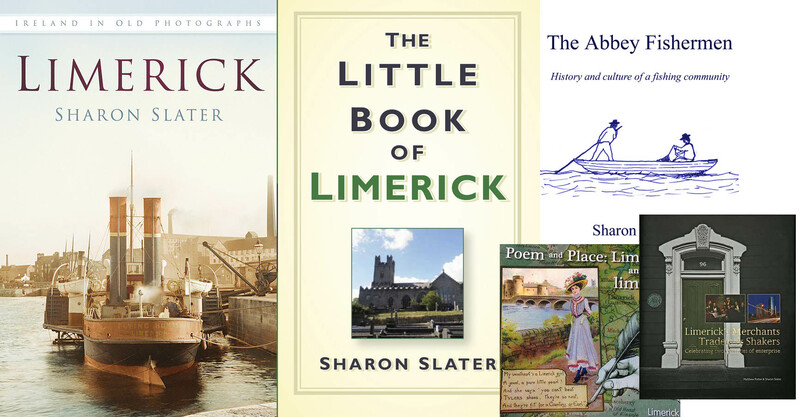 In 1765, the first official hospital in Limerick was established. It was located in the grounds of the former St Francis’ Abbey, outside the walls of the Englishtown. The ground was given “in perpetuity at a peppercorn a year” by Edmond Sexton Pery. Fifteen years, Lady Lucy Harstonge, the sister of Edmond Sexton Pery, founded the Lock and Fever Hospital, now St. John’s Hospital. Lucy by all accounts was a kind and intelligent woman who, from her visits to comfort the sick poor in their miserable homes, saw the need for an institution, which would care for fever patients in a large and populous district. By isolating the fever patient, they reduced the risk of contagion to other family members. Cures could be effected through reducing the temperature by bathing, and building up the strength of the patient with nourishing food. Before 1780, there was no provision for the hospital treatment of fever patients. The hospital was founded in 1780 by Lady Lucy Hartstonge who at her own expense fitted out the old Guard House of the Citadel to cater for patients. The little Company of Mary, founded by Mary Potter in 1877, began its association with the hospital in 1888. Since then the Little Company of Mary Sisters have tended the sick with ‘maternal care’. These two sections of the original stone walls have been exposed to mark the hospital’s origins and history. December 1996. Returning to Limerick in 1788, Crumpe worked in the Lock and Fever Hospital. He was the second physician to work there, replacing Dr Hassett. The Governors of the Fever Hospital will proceed to elect a physician in the place of the late Dr Crumpe, on Tuesday the 15th of March, at the County Infirmary, after the business relative to the infirmary is over – The Treasurer acknowledges to have received Five Pounds, on the 22nd instant from a gentleman in the country. It did not take long for the hospital to get back to business following Crumpe’s death, as the diseases did not go into mourning. Crumpe was not only a doctor but also a talented researcher and writer. His dissertation “De Vitiis quibus Humores corrumpi dicutur” was published in the months following his graduation. In 1793, Crumpe’s Essay on the Best Means of Providing Employment for the People won the prize offered by the Royal Irish Academy. There was some controversy with his winning this prize as although he was not a member of the Royal Irish Academy at the time, he became one soon after the prize winners were announced and there were murmurings of favouritism. Crumpe wrote several letters to the press to dispel this. His prize-winning article was so large that the Academy asked for it to be published. It was also translated into French and German and republished two years later. Judging from his writing he was a very humane and kindly man, and did not let a difference in political outlook interfere with his opinions on conditions. Of the infinite variety of subjects, which from the earliest ages have engaged the attention of mankind, the study of politics will be found upon consideration, at once, the most momentous, and the most difficult. That the morals and happiness of a people depend, in a great degree, upon their being employed in industrious occupations, is an axiom that will be controverted; that the wealth of kingdoms arises not from the quantity of precious metals they may possess, or from an imagined balance of commerce in their favour, but from the quantity of productive labour exerted by its inhabitants. On the most superficial consideration it will appear evident, that the best means of providing employment for the people, must vary, not only in every kingdom, but in every district of the same kingdom. The difference of climate, soil, situation, and natural productions; the diversity of national or even provincial character; the different degrees of civilization, industry, or refinement which already prevail – these, and a thousand other causes, must necessarily occasion the variation alluded to. Today, over 225 years later the same issues are being addressed and the same conclusions are being drawn. The apparent inhumanity of this and many succeeding experiments upon animals, will, I hope, be sufficiently excused by the necessity which frequently occurs of resorting to them in our enquiries concerning many points among the most interesting to mankind. This again shows Crumpe’s personality, he could see that experiments on animals were needed to further medical advances but that these experiments should not be carried out if they were unnecessary. 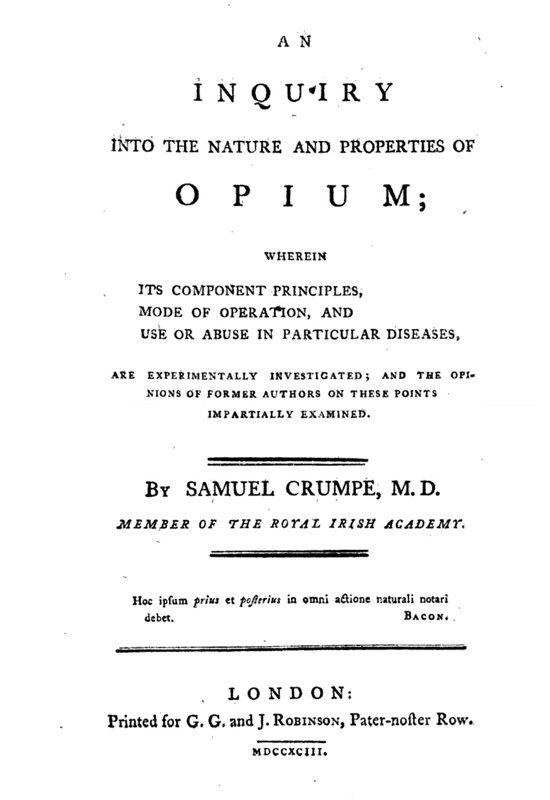 Crumpe also tested his theories on himself changing the consistency of opium by exposing it to heat, liquids, cold and taste it to see if it reduced the natural bitter flavour and to test the varying degrees of strength using each system. His work on opium provided a basis for classifying the drug as a stimulant rather than a narcotic, and was the first to provide an extensive discussion of withdrawal effects. In this book, Crumpe wrote on his disdain for the popular act of bloodletting. He found it utterly useless as although it gave immediate relief for fever suffers, those patients would take longer to recover than those who did not receive the treatment. He also believed that wine was a better remedy than opium for reducing general fevers. His last article was published in 1797, the year after his death and was titled History of a Case in which very uncommon worms were discharged from the stomach. In this he told of a woman, aged 26 who was married for two years. She seemed to have the symptoms of advanced TB although he discovered worms in her stomach. He treated her with a bark infusion which when completed and the worms seemed to disappear. He sent samples of the worms in alcohol to the Irish Academy for examination. Apart from his work in the medical field, Crumpe was also an amateur meteorologist. Throughout 1795 he kept a diary in which he kept track of the weather each day of that year, monitoring the barometer reading, wind direction, thermostat reading (from March onwards) and general remarks. Although he kept a busy working schedule in May 1792, he married Susan Ingram in Kilfinane. She was described as an accomplished lady, with a large fortune. She was the second daughter of the Rev. Jaques Ingram by his wife Miss Smyth, granddaughter of Thomas Smyth, Bishop of Limerick, Ardfert and Aghadoe. The couple had two children, his son Daniel George Washington Crumpe died at only two months old. His daughter Mary Grace Susan wrote historical romances such as Isabel St. Albe, or, Vice and Virtue in 1823 Geraldine of Desmond or Ireland in the reign of Elizabeth in 1829. Had made a path for blood and giant sin. One to their cause inseparably bound. On 16 October 1854, Mary Grace Susan Crumpe married Alexander Louis Joseph Count Milon de Villiers, Chevaller of the Legion of Honour in Dover. They had two weddings, one in a Protestant Church and then in a Catholic Church. She died in 1861 in Jersey, childless and so the direct line to Samuel Crumpe ended. Samuel Crumpe became a Freeman of Limerick in 25 June 1792. This allowed him to participate fully in the political and economic life of the city as a full citizen. Including the right to vote. As Crumpe was not the eldest son of a freeman of the city, nor married to the daughter or widow of a freeman, or worked for seven years with a merchant who was a freeman, Crumpe was raised to the position by special dispensation due to his work for the city. He was Governor of the Limerick United Free School and in January 1794, he presented the regulations of the school. This school was opened on Charlotte’s Quay the year before, by historian and founder of the Limerick Chronicle, John Ferrar, for the education of boys and girls of all religions. Dr Samuel Crumpe died on the 27 January 1796 aged 29 of typhus, which he contracted from a patient. His good nature was his downfall as he was walking one day long a Limerick street, he saw a group of citizens around a poor woman who had collapsed. He found her suffering from a fever and had her conveyed to a hospital where he cured her but he contracted the contagion himself and died from the effects. His obituary in the Limerick Chronicle on 30 January 1796 was extremely large. At the time, the Limerick Chronicle was only four pages long and space was at a premium it shows the character of Dr Crumpe and how those around him perceived him. Although Crumpe is not as well known as his counterpart Dr Sylvester O’Halloran who lived in front of the Cathedral and worked in the only other hospital in Limerick at the same time as Crumpe, he is no less important. If Crumpe had lived beyond thirty, it is impossible to say how much more he could have achieved.